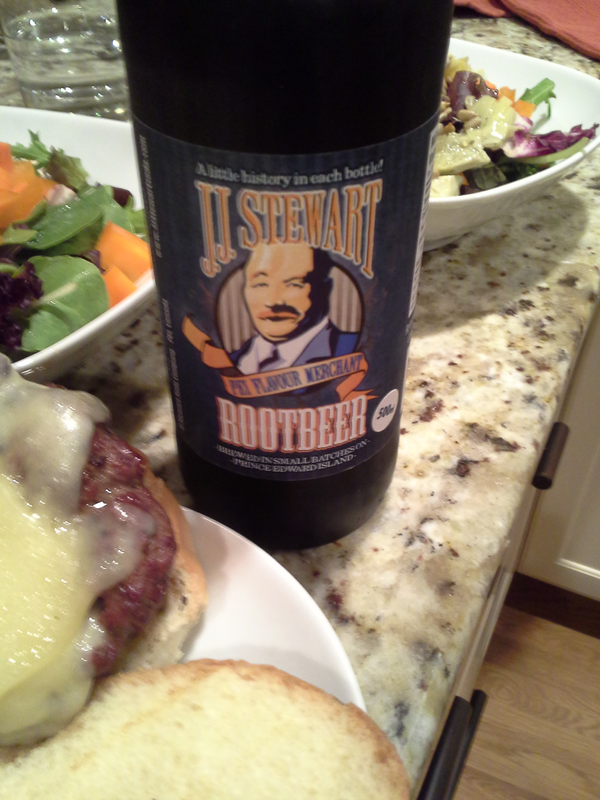 This root beer was paired with a cheeseburger and salad. Licorice is the dominant aroma from this root beer and the bottle poured a very nice head. Logan was almost jumping for joy when she saw all that fizz – she’s not a huge anise fan, but I think she was excited for a little change from the usual wintergreen. With a strong aroma and great pour, I expected a thick syrupy flavor. Instead, it was effervescent and tickled the tongue. A pleasant feeling, maybe slightly on the too-many-bubbles side of the line for my taste. The taste matched the aroma – licorice. Just like those black jelly beans but I expected a little more variety in the flavor. Bottom line, this root beer is very licorice-y. If they lightened up on the anise and added some other natural flavours, they’d really be on to something.